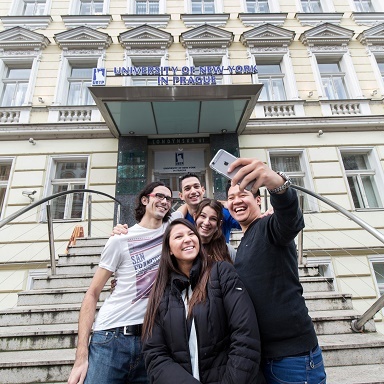 The UNYP LL.M program has been designed to meet the needs of a wide range of law graduates, non-law graduates, and lawyers who wish to study a UK LL.M in Europe. This highly flexible course is suitable for anyone who will find an in-depth understanding of specialist legal areas valuable in their career, including practitioners, corporate consultants, academics, government officials and advisors to non-governmental organizations involved in or intending careers in corporate, European or international law. Graduates studying the master’s degree in law will be equipped with the practical skills, critical thinking and comparative knowledge necessary for a diverse range of legal and business careers, and will be able to customize their LL.M program, concentrating on areas such as EU and international law, corporate and financial law, and brand and marketing law. The UNYP LL.M program comprises two taught core courses and a wide range of optional courses (electives), as well as a significant research component involving a supervised dissertation in the third term. The program includes a combination of lectures and participatory and problem-solving sessions led by specialist teachers. Students have access to interactive law-learning software and a large number of dedicated electronic law resources. The program has been specifically designed for working professionals, with lectures running over the weekends* in order to have the least impact on current working commitments. The teaching model is designed to give students time to reflect on the content of their courses and to engage more effectively in their private LL.M studies. The structure allows for the spread of contact hours over six weekends per course and gives students the opportunity for advance reading during the week and preparation for more interactive sessions during the weekend contact time.